Communications Northwest is a proud retailer of many public safety and commercial grade communications systems equipment. 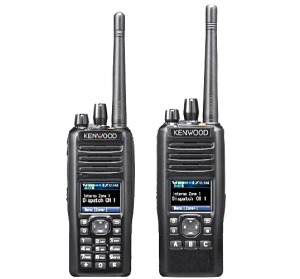 As authorized dealers of top quality manufacturers: Harris, Tait, Kenwood, JVC Kenwood, Globalstar, iCOM, Unication and Motorola we have a wide range to assist in meeting your specific communication needs. We can also provide parts and accessories for all of the equipment we offer, in addition to repair and warranty services. We stand by all of the products we sell from these high quality, industry leading manufacturers and are able to professionally maintain your equipment. Communications Northwest understands complex systems and how to design them to fit your needs. Trust our experts to work with you on designing a system that exceeds your expectations. We offer free onsite consultation to determine what you will need to meet your communication goals. Our experts will assist in providing you with professional recommendations, quotes and scheduling to get you up and running. After you have chosen your ideal communications system and equipment we take care of the rest. We happily provide public safety vehicle, on-site and field installation. After we set up your new system, we ensure that you know how to properly operate your equipment and set up a maintenance schedule to maintain optimal performance. We are always to assist you with any issues that may arise with your new system, so please do not hesitate to contact us. At Communications Northwest we are committed to excellent customer service and your satisfaction is our top priority. We offer radio equipment service and maintenance for all of our valued customers. These services can either be on a case by case basis or via service/maintenance contract, whatever best suits your needs. Service and maintenance contracts are an excellent way to make sure that your equipment is optimally functioning and there are no lapses in communication due to preventable equipment failure. With a service warranty, all radio repairs are completely covered. This includes diagnostics and parts replacement. Without a service warranty, we offer all our radio repair services at a reasonable and affordable rate. Your professional radio communications system is a valuable investment and we recognize the importance it plays in your business, so let our professional communications specialists make sure all of your equipment is in optimal condition. We also understand that due to unforeseen circumstances that issues can arise on an emergent basis, we are here to help so give us a call. 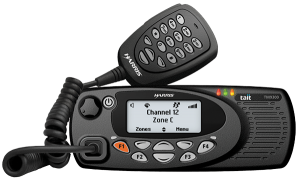 In the United Sates, the Federal Communications Commission (FCC) regulates the frequencies used by two-way radios. It is required for anyone operating a radio on the General Mobile Radio Service (GMRS) to obtain a license prior to use. We understand FCC rules and regulations. Whether you are applying for a new FCC license, or switching from an analog to a digital signal, we at Communications Northwest are here to help you. Offering a full suite of FCC Services, our knowledgeable staff will be by your side the whole time to ensure you are compliant, and give you peace of mind.